RacingJunk News > Racing > Drag Racing > What Happened to Americana in Racing? What Happened to Americana in Racing? As Toyota becomes more and more of an influence in motorsports, it makes we wonder what’s happened to American cars? Toyota is now both the official passenger car of NASCAR and, with the departure of Ford at the end of last year, Toyota has become the official car of the NHRA. I’ve heard it from the NHRA many times, “NHRA re-affirms the return-on-investment for our sponsors.” So why, then, is Ford Motor Company leaving? Why didn’t Chevrolet or another GM brand step up and pay the tally? The NHRA is one of the last remaining sanctioning bodies that Chrysler is participating in and I don’t understand why NHRA president, Tom Compton, isn’t driving an American muscle car. It doesn’t get more Americana than NHRA Mello Yello Drag Racing. It was formed in America, built by founder Wally Parks into the largest sanctioning motorsports body in the United States. But now the official car of NASCAR and the NHRA comes from Japan? As the economy begins to grow again, and people respond by buying American, local brands are making a resurgence. So is there a place for this approach in racing? Shouldn’t there be an American made manufacturer to represent racing, and motorsports in general? I don’t know. Toyota has been a part of the NHRA since 2002. 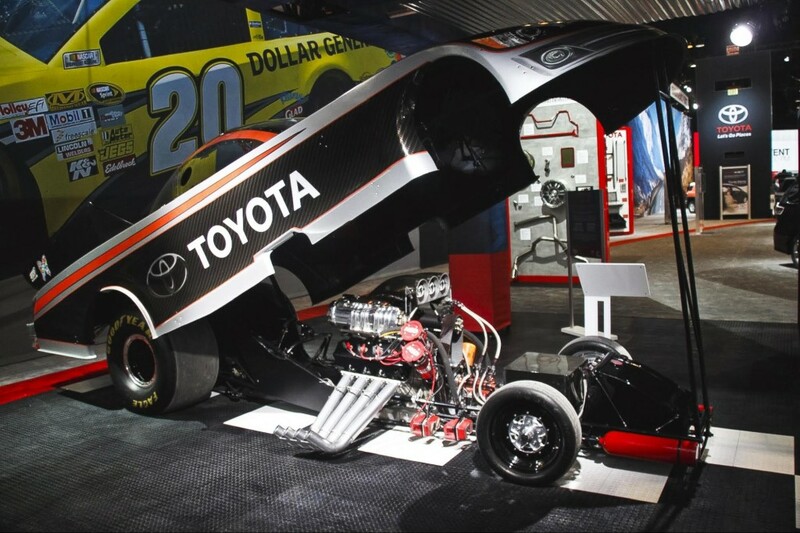 There’s an established connection with Toyota and drag racing, particularly in the NHRA. So does this partnership signal that we are losing the sense of Americana that built the sport? The culprit of all this is money. It’s become what makes sense in business rather than loyalty. It’s about what company’s marketing plans fit into the NHRA fan mode and meets their requirements on their investment. 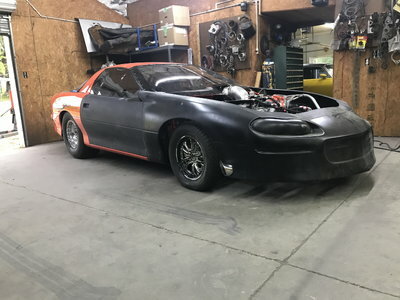 For all the years Pontiac was the “Official Car of the NHRA” it served them well and we saw numerous commitments to the sport, all for its improvement. Before that, Oldsmobile. Now with Ford’s departure, the sport will have a different face. The loss of this sponsor affects many racers and none more famous than John Force. His JFR team of Robert Hight and daughter Courtney could have a different look in 2015. Count in Bob Tasca and Tim Wilkerson as well. Tasca’s family has one of the largest Ford dealerships in New England, and has been one of the biggest supporters of the NHRA. I wonder what he is going to do? 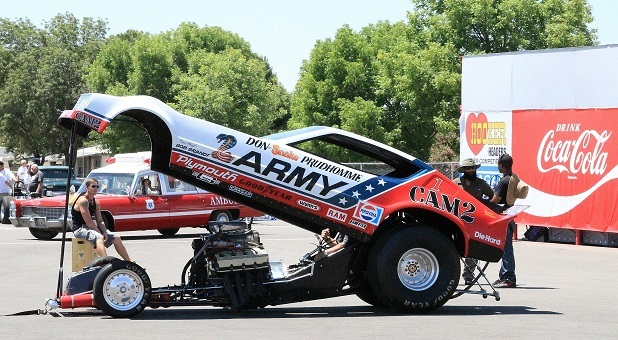 So why aren’t any of the American car manufacturers looking at the NHRA? Have all their goals been met? Have they sold all the cars they can to the drag racing public? I don’t think so. 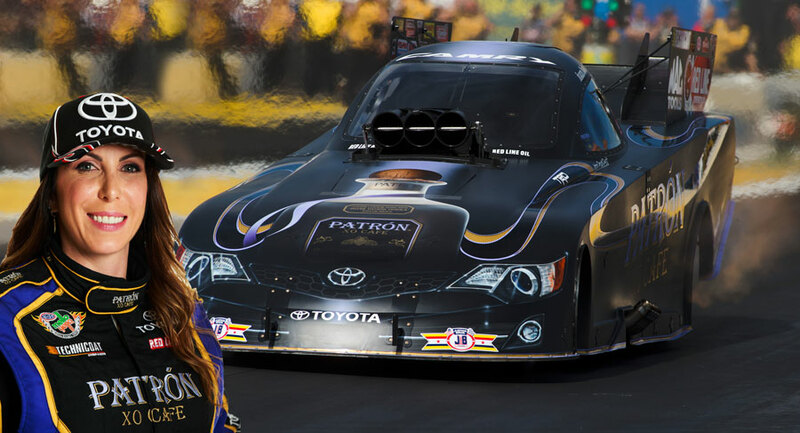 Just where does Madison Avenue and all those major advertising agencies find the NHRA in 2014? As American as drag racing is, why aren’t there more sponsors knocking down the NHRA racing team doors trying to improve the sport by seeing a great way to get their name out there? Is the decision being made by a company numbers person verifying the drop of attendance? Is it the fear that fans have lost interest in the automotive aftermarket industry all together? Nope. What they gauge are TV ratings. The more people are watching, the more they can charge to advertisers for their larger audience. Currently, the NHRA is drawing a .4 or equivalent to around 500,000. NASCAR averages a 3.6 viewership or around 5. 8 million viewers. Now we have to understand why. The flow of funds is demanding on every American family and NHRA race fans are no different. It can’t be denied that only a few drag racing facilities packs’em in anymore. We keep hearing about the economy and in certain demographics we see empty grandstands. That bothers me and I wonder why the greatest show on the planet isn’t lining them up at the gates. I’ve heard it’s the cost, but is it really? 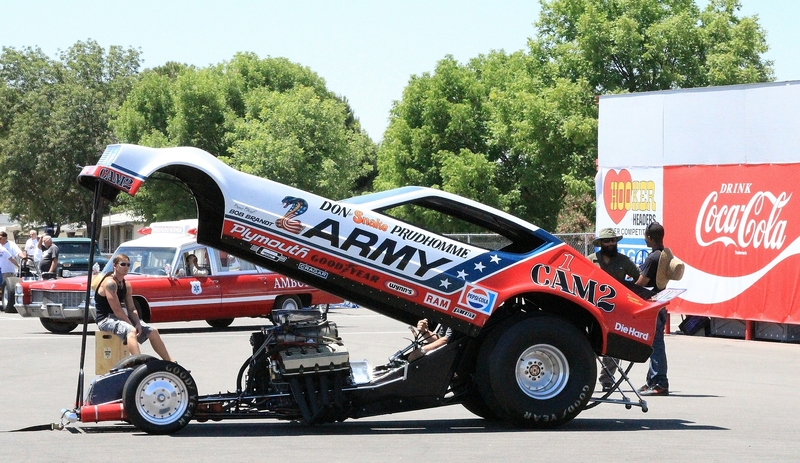 What does the NHRA have to do more of to create a “must-see” event? What brought crowds in the past was Americana at its best. Remember when Big Daddy Don Garlits, Shirley Muldowney, and Connie Kalitta were all arguing among themselves in the 1960s and ’70s? It was the Snake vs. the Mongoose. 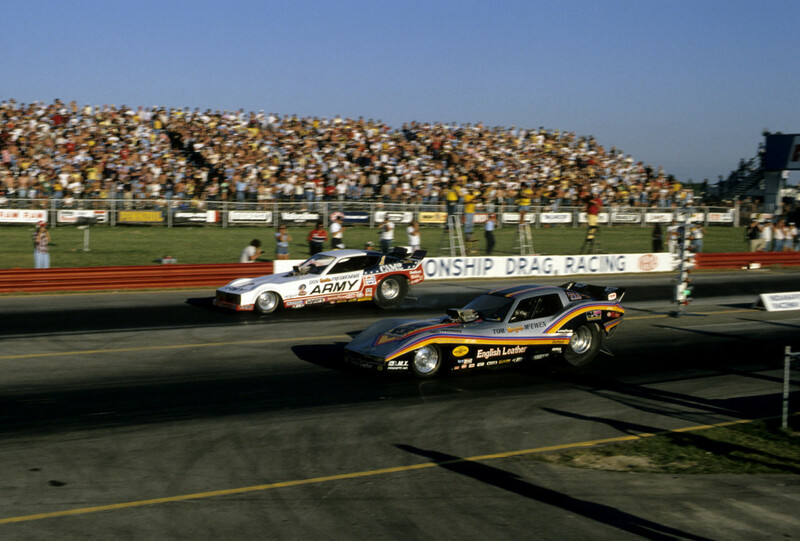 Nicknames were rampant and fans were everywhere in full jammed grandstands watching their drag racing idols. You just had to be at the race to see who was going to settle the score. Nowadays, you can watch the race live on ESPN3 or wait until that evening to catch it on ESPN2 or ESPN on a same day delay basis. The rivalries we used to see on the original “ABC Wide World of Sports” are gone! I don’t want to see the NHRA take a “reality TV” approach and I appreciate how all the competitors get along. I’d never endorse fighting. But those rivalries invested the fans, like rooting for your team in any great sport. What will it take to get the average family to leave the comforts of their home and their powerful HDTVs and drive the 40 miles to the track, perhaps shelling out over $200 for tickets? Is it the racing that needs to improve? Does the NHRA want to slow down the cars to go back to the quarter-mile era? The fans say yes, but the competitors say no, for safety and I understand why. Attendance is just one prong of the business side. Sponsorship and advertising investment is truly part of it. It comes down to what makes the sport of drag racing exciting for fans and a marketing team. Is it the accessibility of the stars of the sport–photo ops and autographs? The sound of power and the fierce competition compels you to the track. It’s simple…it’s about cars and cars are as Americana as Mom, apple pie and you know what else. Out of the top 10 American companies, GEICO of No. 5 ranked Berkshire-Hathaway is the only one investing in drag racing. The other nine include four are major oil companies, (Exxon-Mobil, Chevron, Phillips 66, and Valero Energy), an appliance maker (General Electric), a computer and scientific manufacturer (Apple), two major car manufacturers (General Motors and Ford) and the No. 1 company is a retail/grocery store chain that is located in almost every American city (Wal-Mart). The marketing side of drag racing should be representing the American lifestyle and we have great car manufacturers and sponsors born in the U.S.A like the ones previously mentioned. The marketplace is open and no one is trying to prevent them from coming in. What’s missing? If it does come down to money, could the racing organizations, car manufacturers, and potential sponsors understand that as Americans we want American products promoted in keeping the American spirit alive and well in our American motorsports? 3 Comments on What Happened to Americana in Racing? I don’t watch NASCAR anymore because of foriegn influance and if NHRA goes that way , I won’t support it live or on tv.JFR makes it interesting with Ford. I’m old enough to remember when racer’s cars were very close to their sponsor’s offerings. The old saying was, “Race it on Sunday and sell it on Monday”. That is no longer the case in this day of purpose-built race cars. Apart from the “wraps”, all NASCAR racers drive the same car. You can’t go to a dealer and buy anything that approaches what you saw at the track. What they race is the farthest thing from a “stock” car that you can get. Even the Indy 500 now has the “Indy” car. I can still remember the experiments that were run at Indy. I remember the car with the automatic transmission, the turbine powered car, etc., etc. These were the golden days of racing. Someone (ANYONE) needs to get us back to ACTUAL stock car racing. That is what will bring people back to the showroom and make racing a sales tool for the manufacturers. This time of cookie-cutter race cars needs to come to an end.